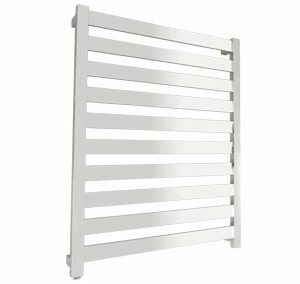 Keep your bathroom organised and your towels comfortably warmed with the Allegra 7 Bar Curved heated towel rail. Constructed from high quality polished stainless steel and featuring a sleek design with geometric curved lines. 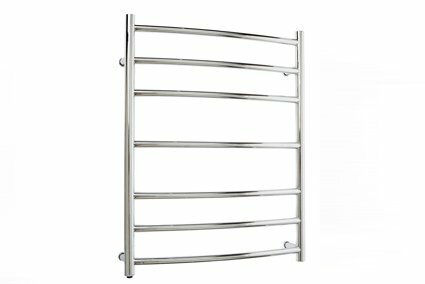 The Allegra 7 Bar Curved heated towel rail, is a striking addition to any bathroom. 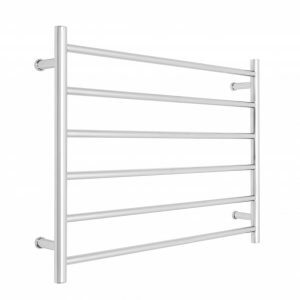 Featuring innovative rail heating technology, this heated towel rail provides consistent heat with no liquids used. Designed to use an efficient 61 watts of power, with a consistent temperature of 50-55 degrees Celsius. 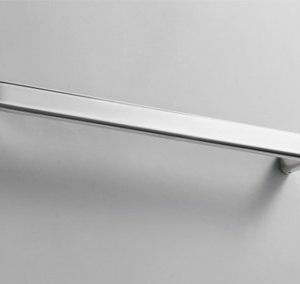 This rail comes with dual wire functionality for either left or right hand installation. 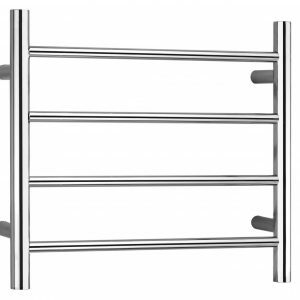 Regularly cleaning your Allegra 7 Bar Curved Heated Towel Rail will keep it gleaming for years.